All-in-one PCs ideally save space, minimize clutter, and allow unrestricted access to the surface they reside on. None that I’ve seen have fully realized such design goals—until now. Lenovo’s ThinkCentre X1 hits those targets dead-on. The Thinkcentre X1 is thin, and quite light at 8.8-pounds sans stand. This all-in-one is also easy to use and fast enough that if I had to use it for my everyday computing, I’d be perfectly happy. And that’s despite the handful of changes that the ThinkCentre X1 could benefit from, like different color-coding for the always-on USB 3.0 port and the power jack, and options for a 4K UHD display or a touchscreen. 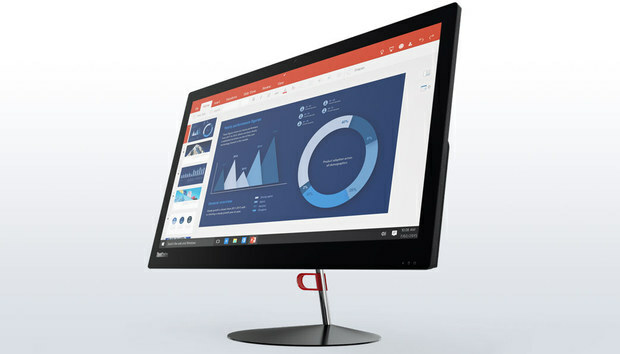 The Thinkcentre X1 comes styled in the usual Lenovo charcoal-gray color scheme, with a 23.8-inch, 1920x1080 non-touch display featuring an anti-glare coating. Said coating works pretty well, but this particular type reminds me of the haze you get on mirrors. The X1 would be better with a full matte panel, like the one on Toshiba’s Z20t-C2112 laptop. 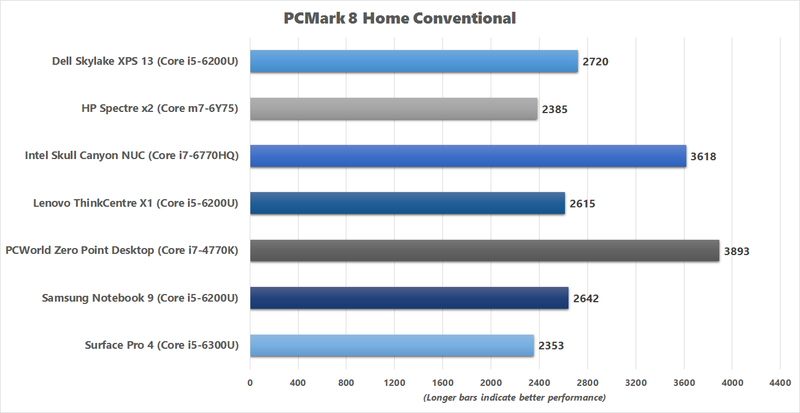 That doesn’t detract from the ThinkCentre X1’s excellent design, though. My one complaint about the ports is the color-coding used by Lenovo. The X1 uses a power connector that’s very close in size and shape to a USB connector, and it’s yellow. So is the always-on USB port. I get it—power equals yellow. Still, I tried to plug the power connector into the USB port first time out. Arguably, I could have first consulted the user’s guide, but realistically speaking, my instinct won’t be outside the norm. One potential drawback is the lack of height adjustment. Taller users might want to opt for an arm mount—the Thinkcentre X1 weighs only 8.8 pounds, which even stylish lightweight arm-mounts can handle. You will need to buy a VESA mount, however. Lenovo’s low-profile option for the X1 is $18. You can get a Thinkcentre X1 for as little as $845 at the time of this review (thanks to an instant rebate through Lenovo’s storefront), with only 4GB of system memory and a 500GB hard drive. 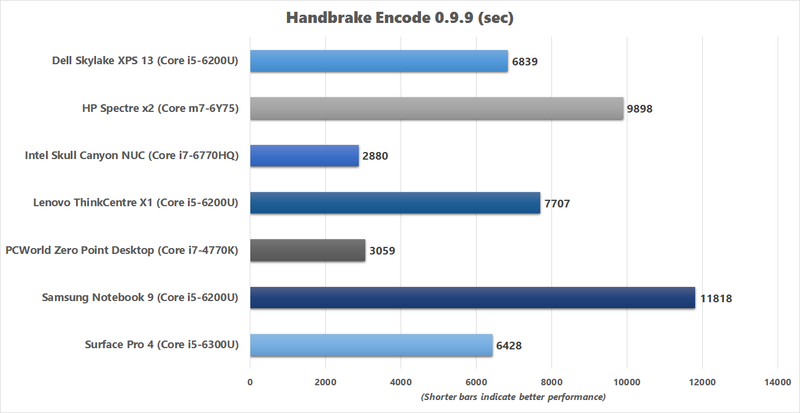 I highly recommend against that configuration because of the slower performance you'll get from the hard drive compared to an SSD. Our 8GB/256GB SSD configuration costs a little over a thousand dollars, and you’ll be much, much happier with it (or even the 128GB SSD) than the HDD version in the long run. The standard warranty is one-year on-site. Upgrading to up to four years of on-site service costs from $79 to $149. Notably, it includes the option of keeping your storage drive—worth noting for people who dislike warranties that make you surrender defective hardware. To be perfectly honest, I’d like to see Lenovo take the outstanding basic Thinkcentre X1 design and realize it to the max: a 4K UHD display, a PCIe-NVMe SSD, Type C USB 3.1, and...a red (not yellow) always-on USB port. 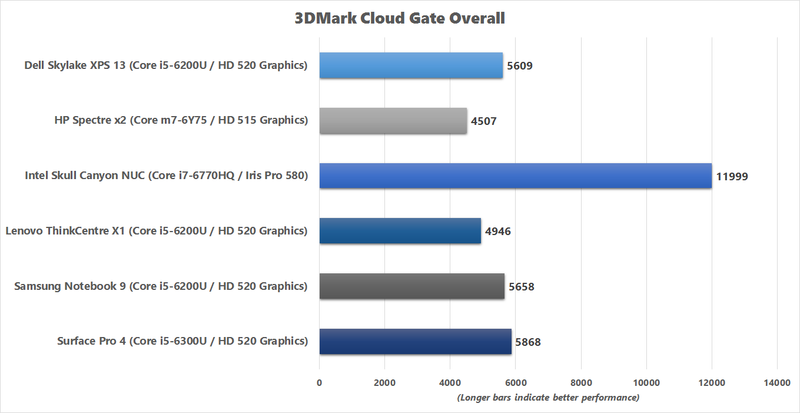 As it stands, however, 1080p is all most users need. The Thinkcentre X1 is easily fast enough, and forking over one $1,000 bill (instead of two) for a computer is more in line with the average budget. So let’s forget the wish list and just say that if you’re looking for a solid-performing, exceptionally well-designed all-in-one, this machine should be your starting point. And probably ending point.